Home > Events, Places	> Skateistan Cph10! This night was remarkable for many reasons: firstly, we got to drive our bikes for the first time in the night time what gave us a thrill ( not having lights when it is dark and the police car stops just by you… unforgettable). Secondly, we attended a skate competition and then a party- all for a special cause brought up by the volunteer NGO “Skateistan”. 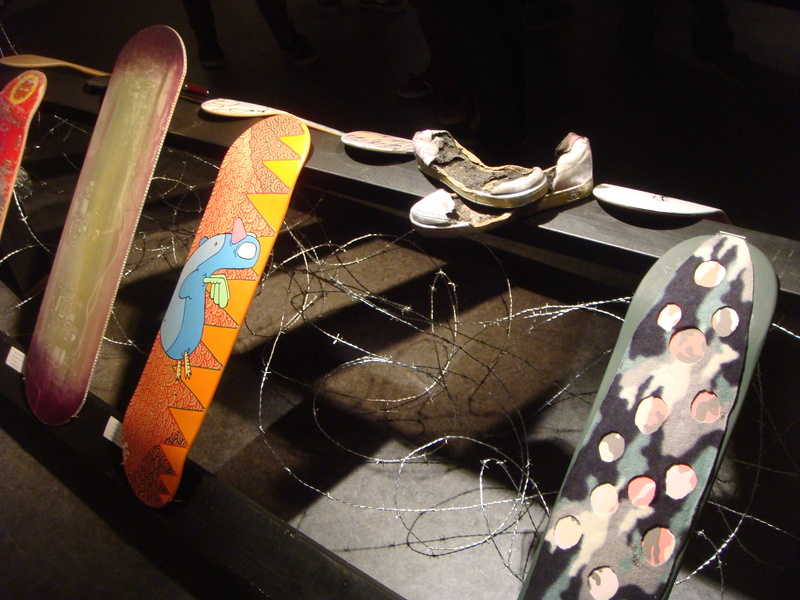 We saw an extraordinary exhibition of painted/modeled/ modified skate boards what didn’t stop us from asking: why this piece of art is worth 8000 dkk? When it comes to art these questions are always posed and never answered. The skate park located by the train station ” Enghave” had a special atmosphere and one could say, energy. The music was great, people were a mixture of skate fans and those who just like to watch how the professionals do it ( clearly, skills do not come with age- winner was probably 15/16/17…). Around midnight the crowd decided to be more active and everybody started swinging into the music (dubstep+electro- good mix to go crazy!). All in all, great fun. However, as a born skeptic I have to put the initiative of Skateistan into question… Are skate parks really the most important thing that the kids in Afghanistan could possibly need? Topic for a whole new debate.